When I was a child I was told that children need to be seen and not heard. How times have changed! When it comes to using a subwoofer in a home audio system it might be said that a subwoofer needs to be heard and not seen. Well not exactly. The subwoofer should not even sound as if it is in the system. It should blend so smoothly with the main speakers that those speakers have suddenly and miraculously extended their lower end frequency response. But this should only be apparent when the source material calls for it. Otherwise, it would only be apparent that the main speakers have an improved dynamic range and better power handling. One of the selling points of a separate subwoofer is that it can be hidden away in a corner of the room and out of the way. This is not quite accurate either. The sub may sound too boomy and detached. It may work on a home theater system for those action movies that are enhanced by the boom. But we are talking about a quality home audio system designed to transport us to the recording site. Anything that prevents that experience we would classify as distortion. Audionengine makes a quality subwoofer but we believe it is just a little too expensive. In the case of the A2+’s, its cost is not in proportion with the price of the main speakers. Let us see if we can find a quality low cost subwoofer that will outshine Audioengine one. How do we go about doing that. We can compare the sound of various subwoofers to determine which one has the best sound, but that would not guarantee that the sub would blend with the A2+’s. We just want something to augment them and have no particular sound of their own. This is where design comes in to play. The midrange drivers of the A2+’s are very small Kevlar cones. They are fast and articulate. They almost blend perfectly with the silk dome tweeters. Matching the Kevlar’s to a subwoofer is another matter. Subwoofer cones need to be relatively large if they are to go deep, but how large? If the cone is too large then it will most likely be too slow to get started. Its moment of inertial will be too great. In addition, a larger driver is more difficult to stop quickly. We are talking about impulse response. A sub needs to respond in sync with the midrange/bass driver. A smaller cone is, in most cases, a better match. A 10 inch or even an 8 inch driver will do if it is designed properly. It must be a long excursion drive but one that is adequately damped. Believe it or not, there are many small and relatively inexpensive self-powered subwoofers that will matchup with the Kevlars of the A2+’s. The key is to carefully adjust the crossover point, gain, and polarity of the subwoofer. Most people will not likely have the test equipment to make precise adjustments. But to be honest, one’s ears are more than adequate to do the job. After all, the ears will always make the final assessment as to how an audio system sounds. Instruments do not listen to music. The subwoofer setup will require some patience, trial and error, and careful listening. What we are looking for is a natural sounding frequency response from the midrange on down. We do not want the sound of the subwoofer to spill over into the midrange and muddy up the sound. The A2+’s roll around 100 Hz. For this reason the subwoofer should initially be set up to limit its frequency response above 110 Hz. This is a good general rule of thumb because it allows some overlap between the subwoofer and midrange drivers, assuring a smoother transition of the drivers. If the subwoofer is not cut off soon enough it will sound merely tacked on and not natural. The effect we are looking for is that the midrange drivers seem to have a lower extension in bass response, but otherwise they sound unchanged. With our mystery subwoofer in place we played some source material which actually had some low end response. Organ music is good for adjusting the sound. We should hear and fell the low petals of the organ but the recording should sound essentially the same with or without the subwoofer A good piano recording might be next. We are all very familiar with the sound of a piano. If it is a grand piano it should sound full and extended, with substantial weight in the low end, but not sound over powering. Lastly, we will need some recording with string bass. We should actually hear the strings and not just a muffled low end. Our ears are perfectly capable of assessing the sound of these instruments, particularly if they are well recorded. How does a good subwoofer improve the sound of the little Audioengines? The A2+’s become alive. They still have the same wonderful low coloration reproduction, but the added weight of the subwoofer definition and focus. The midrange drivers simply do not have to work so hard. Overall, the sound is more musical and satisfying. The A2+’s almost disappear while the music emerges with greater clarity and ease. Which subwoofer do you buy? There are some excellent low cost subwoofers offered by MartinLogan, Pioneer, Polk, and others. We chose one that cost less than one hundred dollars. Yes, the one that gets lousy reviews from the people who don’t understand what subwoofers do or how to set them up. The joys of state of the art on a budget! Sound this good was not even available years ago at any cost. May I ask what sub you recommend? The Acoustic Audio PSW-8 Down Firing Powered Subwoofer is an excellent choice for less than $100 from Amazon. You can spend more but this one will do for a moderate size room if setup properly. Please recommend few good low cost sub to match with A2+. Thanks. Check out the Polk Audio PSW10 10-Inch Powered Subwoofer, MartinLogan Dynamo 300 Home Theater and Stereo Subwoofer, Pioneer SW-8MK2 Andrew Jones Designed 100-Watt Powered Subwoofer, and Dayton Audio SUB-800 8-Inch 80 Watt Powered Subwoofer. All of these are more than satisfactory. If I wanted to spend on the high side of this list I would lean towards the MartinLogan or the Pioneer by Andrew Jones, an exceptional loudspeaker designer. Does the Andrew Jones Designed subwoofer come with crossover settings? They don’t say it anywhere online. Thanks. Yes, all good subwoofers have crossover settings. Polarity setting are also important. Be sure to experiment with both. I am looking to add a subwoofer for my audioengine a2. Am using in a ~10x12x9 room. Would your recommendations be any different from the a2+? My recommendation would be the same. Setting us the subwoofer could be more problematic with the A2 vs. the A2+. The A2 does not have a connection for a subwoofer per se. But you can work around this by using one of the input connectors as an output connector. Some experimentation may be required. Very much appreciate the quick reply. Do you think the challenge is prohibitive enough that would not be worth adding the sub? Would it be any better with the S8? FYI I ended up going with the Pioneer SW-8. It took a little time to get balanced but sounds great and really complements the A2’s well. Is a great set up for an nyc apartment. Very clean and more than enough to fill the room (and upset the neighbors if/when desired). You will spend more with the S8 but I am sure that with the assistance of AudioEngine the tradeoff may well be worth it. You cannot have too powerful a sub. A good sub can always be adjusted. Best to audition the subs if you can. The A2+ has connections for the sub as long as the sub has a polarity switch, level control, and cutoff frequency. Accurately mix and master your bass-heavy music using this 10-inch Powered Studio Reference Subwoofer from Monoprice! This studio-quality subwoofer designed to be integrated with your studio monitors, for use with recording, mixing, and mastering duties. It features a built-in 200-watt (RMS) class AB amplifier. Designed for professional use, it features two balanced XLR, two balanced TRS, and two unbalanced TS audio inputs and outputs. It boasts a 20 ~ 150 Hz frequency response with a signal-to-noise ratio greater than 90dB (A-weighted) and less than 0.03% total harmonic distortion at its rated power. It uses a 10″ fiberglass composite cone and produces 110dB peak sound pressure level at 1m. It features a 1/4″ TS input for use with a foot switch (not included). The foot switch allows you to bypass the subwoofer and its crossover, allowing the original, full-range signal to be sent to the outputs. This allows you to compare your mixes with and without the subwoofer handling the lower frequencies. Have not heard this Monoprice sub. The specs are good. It has been designed to work with studio monitor speakers. Good! The A2+’s are great monitor speakers, though they are sold as computer speakers. I read this review with great interest – thank you for posting it. I live in Hong Kong and have the A2+. Most of the subwoofers you list I can only get through Amazon, and the shipping cost is more than the cost of the sub (I shudder to think how much return costs would be if there was a fault)!! E-commerce is not big in HK either so Googling for things is not easy, and it’s very difficult to find reasonably priced subs because all the hi-fi dealers here focus on very high end expensive kit. The cheapest I could find were all discontinued models – Dali Fazon 1, Klipsch Sub-10 or an AudioPro Add On and all these were still very expensive. So in the end the Audioengine S8 sub is proving to be worthwhile for me as the price is pretty much the same as from Audioengine direct (unusual in HK!!) and a lot less than the alternatives that I mentioned. I’m assuming also that Audioengine have balanced the A8 to match the A2+’s!! Thanks once again for your guide, I’m looking forward to getting it and setting it up properly. Great choice! The A8 and A2+’2 will be easy to balance. I wish I could have gone down a more budget route as you did but it’s not the end of the world! I now have the A8 sitting under the desk and roughly set up. The scale on the crossover is a little less than obvious since it goes from 50-130hz, and the divisions seem somewhat arbitrary, but I have it to what is approx 110hz and the gain just a little above minimum. I thought the A2+’s were already good but now the difference is off the scale!! It’s as if a whole new world has opened up! Dave Brubecks “Take Five” is so clear I can hear the strings of the double bass twanging with every pluck and nice tight snare – who says mp3 can’t sound good!!! Now to knuckle down to some break in time and await delivery of the 24/96 Modi DAC from Schiit (not sure if I need it but it’s reduced to $79 since there’s a new model out). Thanks once again. Congratulations! State of the art with money left over to buy some great vinyl! I’m so glad I came across this post… It’s exactly what I was looking for. Based on it I decided to add the Acoustic Audio sub listed here to my Audioengine A2+’s that I use with my turntable. What a great, affordable option. Thank you! Thanks for your response. Yes, it is so affordable, but more than that, the sound is state of the art for a moderate sized room. Other systems might be more spectacular, but this one sounds real! Would the Yamaha SW012 be a good option for the A2+? I’m in India and these seem to be the only decent ones in the sub $200 price range. This doesn’t have the crossover settings or polarity settings, would that be too much of a problem? I could look at importing the Pioneer or the Martin Logan from the US, but that runs on 120V and I’ll need to use a step down transformer for India, not sure if that works well. Yamaha is a good name. Not having a polarity switch and crossover adjustment will certainly limit your setup. If you can get a return policy then you could experiment with the Yamaha. Moving the speaker to different places would be the only wat to adjust the sound, but you may be able to discover the sweet spot for the subwoofer. Then it would be important to adjust the volume of the Yamaha so that it does not call attention to itself while still feeling the underlying weight. Good luck. I think you might like the sound. Dear sir Bryant, can I have your great advice on how to upgrade the sound of my A2+ connected to a laptop via USB cable. The produced bass is still lacking in depth as per my hearing. I also want to increase the sound from my laptop. My cheapest upgrade plan is to buy a DAC-Amp like Fiio Q1 for the above concerns. Here in the Philippines, vendors sells imported & expensive sub like REL, Focal, Tannoy & Yamaha from price range of Php16,000 ($345) up to Php37,000 ($800). Cheapest is Polk PSW110 at Php12,990 ($281). Also, local brands are inferior to the ones you have suggested. Is my above cheap upgrade plan justifies my need to boost the bass of my A2+ and increase my laptop’s sound? How far will it compare to the A2+ & sub pair (the sub you have tested)? I have a tight budget and I’m just renting a house with living room size of 2.7m x 3.0m (L). I have another option but a little pricier ($184) in buying a 2nd hand Klipsch KSW-10 subwoofer. I have concern/question on 2nd hand sub, how long does a subwoofer last if it is being used 4-6 hrs/day at a moderate to high volume level? I hope you still answers questions raised here although the topic is already 18 months old. I am not sure what type of laptop you have. Most Apple laptops have enough gain that an extra amp is not needed. The builtin DAC in the A2+ should be more than adequate. A subwoofer will raise the perceived volume by at least 3 db. I would recommend the used Klipsch. It is robust and should not wear out with normal use. Hi sir Bryant, I’m using an HP Pavilion DM1 also a budget laptop running on Win7 Home Basic only. Thanks for your reply and suggestion on the used Klipsch. My assumption is that the reader likes music and prefers to listen to it more than to the audio equipment itself which helps reproduce it. I’m just looking at cheaper items that may have the same quality but not exactly as those expensive ones because it is really hard to earn a living here. More power to you and your site and I wish you success in re-introducing your AUDIOGRAM newsletter. Thanks for this! Anyone have any advice on equivalent subwoofers to get in the UK? amazon.co.uk has none of those suggested above. Cheers! funny none of you mention the horrendous ~150-250Hz bump in the A2+. do any of you listen critically? no evidence of it here. Room placement has much to do with the speaker’s frequency response in the low end. The speakers need to be on mounted on stands and away from walls. They are monitor speakers. Their recorded frequency response is 65 Hz to 22 kHz, plus or minus 2 db, without a subwoofer. You are probably hearing room effects which, in most cases, can be eliminated with proper room placement. Thank you @Bolling Bryant for this very helpful article and to all the commenters as well. I just added an Acoustic Audio PSW-8 to my A2 (not +) set-up which I’ve had for several years and it has been a MAJOR improvement. I also finally put the A2s up on a pair of desktop speaker stands (Pyle Pro PSTND18, $35USD) on either side of my iMac. Now listening to music at my computer is like taking a sonic bath instead of a sonic shower! Crisp, musical detail and an enveloping listening experience. I do agree with @really? that the A2s by themselves can have an unpleasant resonance in the low-mid range with some music which in past I had to control with a bit of EQ reduction, but with the A2s up at ear level and the PSW-8 now in the mix it’s no longer really noticeable to me. It seems like now the A2s have been freed up to what they do best. It was easy to blend in the PSW-8 by testing with a variety of songs and musical pieces that are my go-to reference material. Very happy with this solution that has ended up costing me less than $400 for the A2s, PSW-8 and stands combined. Nice! Hi Crashcup! I found your post very helpful. I am hoping to get this setup for my father for Christmas. Did you need any pre-amp or amplifier to get this working? I was wondering if the A2+’s and PSW-8 would work straight out of box. Thanks for helping a noobie! Right out of the box. Your turntable would need a built in phono preamp. The power amp I built into the speaker. Digital source could be plugged into the internal DAC in the speaker. Hi Mike. The A2s are self-powered and so is the sub. Each has a built-in amp. You’ll have sound out of the box as long as you get the necessary cables to connect the sub to the A2. It’s so very simple… Just plug in A2+ to A/C power outlet, rotate the volume knob to turn on the speakers DAC and built in amp, about 3/4 way clockwise. Make sure your speakers are connected to each other obviously! Then you will just run a dual RCA cable from the speakers out to the sub in. Plug (power) in the sub to an A/C outlet, adjust the Gain and Crossover on the sub about 3/4 way up, and your good to go! I originally added the Andrew Jones Pioneer Sub SW-8 to the A2+. It improved the low end quite a bit and has a small footprint. I was very happy with it until I started to compare it to my home theater sub, which is larger, more expensive, and just sounds a lot more solid since the cabinet is much heavier. Anyway, I was able to purchase a 10 inch sub on craigslist for $150. It originally retailed for $700. IMO it is about 2 steps up from the $100-$150 subs on Amazon. So I guess the moral of the story is either don’t listen to better gear or consider buying a better sub on CL for the same amount of money. If you are wiser than me, you will just be happy with what you have. Thank you in advance for any comment you will provide. The adjustable volumn and crossover are key. jBL is good. This model does not go exceptionally deep but it will add weight and clarity to the overall sound when setup properly. Will any of these subwoofer pair good enough with A2+ setup on a laptop? Can A2+ be paired with a 150~up Watts sub? Will higher power means added depth, weight & clarity? Appreciate your comment to a newbie like me and thank you. The power rating of the subwoofer is not so important. Matching the sub to the satellite speakers is done through selecting the crossover point and the volume control on the sub. Thus these features are important. And the lower the frequency response in the low end the better, assuming good transient response of the sub. Try to get have an audition of the sub before purchase. Hello, just read your post, really happy I found this. I just purchased these a2+ speakers and they sound fantastic, I knew the low end wouldn’t be great after reading reviews before I bought. I am going to purchase a Polk Audio PSW10 10″ sub. My question is how does it connect to the A2+ speakers? and how should I set it up? I’m not too familiar with audio. Polk sub is excellent. You will need to adjust crossover point, volume, and polarity. When you purchase the sub I am sure we can work out the setting for your room with a few trials. Thank you for your quick reply! I assume I just need a standard RCA audio cable from output on the A2+ to the line in on the sub correct? Looking at the back of the sub I see the volume control and the low pass, but I’m not sure what you mean about polarity. I have mine RCA output on the A2+ to RCA line input on sub. That way your source can control the volume of the sub and A2+. The Polk has a phase switch which allows the sub to be either in phase or out of phase with the A2+’s. Once the room placement is determine for the sub, by experimenting with the switch setting you will be able to hear which setting offers the stronger bass output. Often the difference is dramatic. Connect the RCA cables from the audio output sockets on the A2+ to the sub audio input. Controll overall volume with the volume control on back of the A2+ and relative volume of sub compared to A2+’s with the volume control on the sub. Thanks for such an informative article. I took your advice and went for the Acoustic Audio sub. You’re right… The small A2+s don’t require much in terms of a sub. No reason to spend upwards of $350 on the S8, which would probably be overkill in this case. My acoustic audio sub is currently tuned to 100Hz with the gain sitting just past the half-way mark. More than enough to produce a well-balanced sound in my (small) living room. If your subwoofer sounds boomy then lower the crossover and increase the volumn to compensate for the apparent bass reduction. Do it in small increments at a time and you will soon get it fight. Do not forget to experiment with speaker placement and.reversing the phase of the sub. A well adjusted sub will always sound better than a more expensive one that is not properly set up. Thank you for your very helpful article. Any opinion on the (newer?) Acoustic Audio RWSUB-8 instead of the PSW-8? Hello Mr. Bryant, So lucky I came to this discussions, I’m about to buy the A2+ because those things have the output for the Subs. I’m thinking to add Subs, and the candidates are Polk PSW110, Cambridge Audio SX120, and Wharfedale Diamond 10.SX. Why these three? Because only these three so far available in Indonesia and meet my budget and specs. FYI, I really love my Swan HIVI M50W, I need another speakers because I just move to other town. Does the A2+ and the Subs have the same or similar character like M50W? Of the three subwoofers I would lean to the Polk. I have not auditioned the Swan so I cannot say that it has a similar character to the A2+’s. Both are marketed as computer speakers, but I am not interested in computer speakers. The A2+’s are truly monitor quality speakers for small to medium sized rooms, especially with a subwoofer. Thank you for the reply Sir. The Swan has quite powerfull bass for hip hop and EDM music also good for movies. I can say its a all round speakers. Does the A2+ and Polk PSW 110 combo has character like that? Which one better plug the sub from A2+ output RCA to Sub or plug the sub to the laptop? Can I plug the sub directly to the laptop? If can, how? Use A2+ output to sub, plug laptop into A2+ input. For hip hop music the A2+ may take a back seat to the Swan. which is probably better for Jazz and Classical music. No one speaker system will do it all, but the A2+ does very well for medium to small sized rooms. This was super helpful — thank you! Thank you for this article! I am using the A2+ as monitors in my computer setup, and although they are excellent little speakers, I am hoping with the addition of the Acoustic Audio PSW-8 and some patience with the setup, this should be an excellent music system while listening with an Audioquest Dragonfly 1.2 USB DAC feeding the speakers and they in turn feeding the sub. As I understand it, the DAC goes into the inputs of the A2+, the output from them goes to the sub and the volume is controlled via the volume control on the A2+. Is this correct? Yes, but the volume control, assuming you are using a digital source such as a computer, would by your software setting. The volume control on the AudioEngine is usually set once. Your subwoofer will be adjusted by its own control setting. Thanks for the reply. I was told that with a usb DAC such as the Dragonfly, the volume control in the computer software should be set at 100% and all volume adjustments were made at the A2+ speaker and the sub was adjusted as you have described. Also, all enhancements available in the sound settings for Windows 10 should be disabled. So far, this is working out splendidly. It did not take long to set things up using your advice, and now I have a full-frequency computer speaker system that will play anything from .mp3’s to high resolution FLAC’s. Thanks again for your post!! I appreciate your comment and I am glad you are pleased with your system. The volume control on the A2+ is on the back of the speaker. It was not designed to be a volume control, only to balance the sound. A computer volume is more accessible and easier to control. But I am more familiar with Apple. No offense, but I can believe it is better to bypass all Windows sound settings. And So It Goes…This thread is still alive! Why, because the A2+ speakers ROCK any way you choose to use them. The built in DAC is very nice, but so is my Audioquest Dragonfly 1.2 USB DAC. My Newer laptops sound cards are very good too! I did take your advice (prior to reading this post) in investing in a small sub. The actual same you suggested: Acoustic Audio PSW-8 Down Firing Powered Subwoofer. I love this setup! The sub is right next to me on an area rug in the living room. It really combines with the A2+ very well, makes quite an impressive impact. I also put a little on/off LED light on the lower side of my coffee table padded white with an ottoman. Its near the controls so I can make adjustments on the fly. This setup blows the ALL competition out of the water! Pristine, magical sound. I am listening to Bruce Springsteen Born To run CD. Its as if he and the band are playing LIVE. Thank you sir, your advice agrees with the pickiest audiophile on the planet, me! Well, I really read this entire article and all of its comments with some serious interest in it since I am also looking into good speakers for PC. I never heard of Audioengine before in my life till I blind picked the A5+ from a demo at the store after listening to a series of different speakers unknowing which one I was actually hearing. The A5+ sounded gorgeous when listening to music and voices. It was everything I looked for when I talk about highs and mids. Lots of clarity and volume in those mids and very crisp highs without going over the top. But in computer games the bass wasn’t just that. The shop owner brought in a subwoofer and I literally fell in love with them. The bass was there and not there. It did what it needed to do without making everything sound deep or without the rumbling many of us think of when we talk about using subwoofers. And it added to the original sound of the main speakers because everything sounded more in cohersion. The mids became richer, more smooth and in games the sound was more vibrant, more alive and made me more aware of the atmosphere. The problem however is the size of these A5+ speakers, the fact they aren’t intended for near field listening (ideally between 5 to 7 feet away from them) and they don’t do well positioned with a wall behind them. So as much as I love their sound I can’t put in the money just because I do not have space for them and if I did they would be standing on my computer table on either side of my screen and with their backs positioned towards a wall. The problem is that I can’t demo them since I have no clue where to find these in my area. I am worried they do not offer the same sound signature as the A5+ as this one is bigger in size. In particular, I am worried the A2+ can’t offer that same mids as these mids are exactly what I am looking for when I have to describe sound I like to hear. I am also afraid their highs are over the top. (something that happens a lot with speakers that size). It sounds like the A2+’s will be ideal for you. Just audition them yourself. Buy them online from AudioEngine direct. I am sure they will give you a return policy if you don’t like them. The smaller baffle of the A2+ is an advantage over the A5+ in my opinion, but the sound is similar between the two speakers. Can’t comment on the a5+ because I’ve never heard them, but I am very satisfied with my combo a2+ and a small subwoofer as described in this article. I listen near field with the speakers on either side of my monitor and the sub tucked away in a nearby corner. Bass is excellent; seems to come from these little speakers, not from the sub. I am very comfortable with the midst and highs, but this is very dependent on your source material and your computer audio. I am using an Audio quest Dragonfly ver. 1.4 plugged into my computer’s usb and outputting to the a2+. Sounds great to me! I would give them a try. If you bought factory direct I think they give you 30 day trial. I’m currently running the A2+ connected by USB to my desktop computer, which has a built in DAC (Asus Maximus Hero VIII motherboard) as well. Is this the best way to interface. I also have an RSL Speedwoofer 10s on the way and I just want to confirm all I will have to do is RCA connect the two RCA out on the A2+ to the two RCA in on the subwoofer, set crossover at about 100 to begin with and adjust sub volume to match for computer volume control. Also, what RCA cables would you suggest. I believe in low cost so I would not recommend any special RCA cables for the subwoofer. Any differences in sound would barely be audible in this frequency range. Just make sure that your subwoofer has a built-in amplifier, volume adjustment, and phase switch. As you have said, just connect the cables to the output jacks on the A2+. The DAC you use is critical to the sound quality. The built-in DAC in the A2+ is superior to most computer DAC’s. You can improve the sound further by purchasing outboard DAC’s, either the Audioengine D3 DAC or the DragonFly Black . There are relatively inexpensive. If you are using high resolution downloads as source material then the outboard DAC’s would make even more sense. Thank you sir, I appreciate your response, confirmation and advice. I was wondering if you may have some insight to an issue I have. I followed this guide about a year ago and got the A+2 and polk audio sub PSW10. All of a sudden there is a lot less bass going to the sub. I have to set the volume and low pass all the way to max to get a similar amount of bass I used to. Nothing has been changed hardware wise. If you have physically moved the subwoofer you may need to change the phase switch. Otherwise the speaker may be defective. Gently place your hand only, while playing bass heavy audio (dubstep, hip-hop) near the subwoofer speaker. Liie within 1 inch. Try to not touch the sub speaker itself. If you feel the vibrations your sub is good to you. You just need to adjust the gain and crossover HIGHER, If not, the sub us not getting feed (power) and is thus not connected properly or possibly blown. Gently place your hand only, while playing bass heavy audio (dubstep, hip-hop) near the subwoofer speaker. Like within 1 inch close. TRY to not touch the sub, speaker itself. If you feel the vibrations your sub is good to go. You just need to adjust the gain and crossover HIGHER. Or adjust the just the bass on the device connected. If not, the sub is not getting feed (power) and thus not connected properly or possibly blown .Check all cables making sure they are plugged in tight as well. Haven’t moved the sub at all, or anything. The sub is producing bass, the issue is its ~50% less than it used to be, I’d assume if it was blown it wouldn’t work at all no? I checked all the cables, they are all connected properly. Hello. I’m planning on getting the A2+ speakers, and I have a Yamaha HS10w subwoofer at the moment. Are these compatible? Anything I need to know? I’ve read somewhere that there could be some “crossover” problems as the speakers doesn’t “know” that they’re connected to the subwoofer. I also need a desktop amp to hook this up to (As I want somewhere on my desktop to plug in my headphones) I appreciate all help I can get on this. Thanks! As long as the subject has RCA inputs your good to go. I meant as long as the subwoofer, grammar correction. Also, by the way, the A2+ system has an AMP BUILT IN. You do not want or need a second additional amp. You use a USB out cable (provided) to your PC, laptop, etc. Hi there, I am looking for a subwoofer to match with my AudioEngine A2+, used almost exclusively for music in a fairly small room (bedroom). In a small room most any of these will do. Bass response might need to be tamed by using a low crossover setting. Be careful of placement of the sub if the shape of the room is close to a square. Not a good idea to place the sub at a corner intersection. I went with a2+ and Dali fazon sub1. I am not using built in dac over usb. Rather then that my source is Raspberry Pi3 and Iqaudio pi dac+. Just move the a2+ away from wall and WOW WOW WOW. I didnt though that I would be a able to hear music this good and this cheap. As for the dac – I heard worse that cost 10 times more. Sorry I didn’t see all the comments until I posted this. I’ll read through and likely find my answer. Lots of good discussion. speakers–something like the Acoustic Audio RWSUB-6? That size would fit best in the space I have in mind for it in my living room. Yes. With the 6″ subwoofer, however, the low fundamental will not feel as solid. Nonetheless, the subwoofer will free up the A2+’s to play a little louder with a margin of safety. We want to be careful and not overdrive them. I went with the Acoustic Audio PSW-8. What acoustic bliss. The subwoofer fills out the A2+’s beautifully. Amazing how much it sounds like the bass is coming from the A2+’s. Started with some Corelli and now listening to a lossless recording of Yes’s Close to the Edge. Chris Squire’s Rickenbacker is rumbling along like I’ve never heard it. Next, on to the Dragonfly black DAC to add to my Macbook Pro, and possibly a turntable to rediscover the pleasures of vinyl. Thanks for this site. It’s given me tips for a a great system without costing a fortune. What was the mistery sub? I have the same speakers and I’m looking for a low cost sub. If you are asking what sub-woofer I am personally using, I chose the low cost Acoustic Audio PSW-6. It works very well in medium size room. Thanks. I went with the Polk PSW10 since it was on sale for 144.00 CDN. It works nice but I have the D1 DAC as well with the A2+ speakers because I wanted to hook my PS4 up to the speakers with optical along with PC over USB. What I’ve noticed is when using the D1 to play audio on my PC I need the low pass all the way up and volume about half way on the sub. 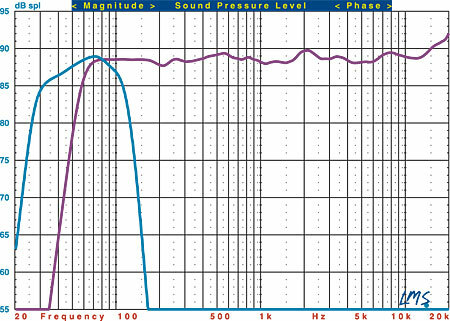 When bypassing the D1 I need to move low pass back to 100 hz and increase the volume on the sub. Not sure why that is the case. I am not sure either. I am using a D3 DAC. Perhaps some of our readers can share some light on the matter. I switched out the PSW10 for a Klipsch R-8SW. While I would not consider this a budget sub I did get it on sale for 299.00 CDN (100.00 off). The sound is so much better and cleaner than the PSW10. I found the bass a little muddy on the Polk. The Klipsch is also way smaller but produces every bit the bass of the PSW10 and more. So far so good. The R-8SW is a down firing sub.